Paolo Vandini 'Sarell' Men's 1960s Mod loafers in high shine black leather. Take note of the exquisite Retro Scotch Grain effect textured upper that graces the vamp and side panels. This is complimented by a smooth leather toe cap that is punctuated with broguing that forms a neat Ivy league Wingtip detail. The gunmetal metallic trims to the buckle apron adds that essential refined and sophisticated edge. Finished with a flourish of Psychedelic 60s baroque detailing to the interior. 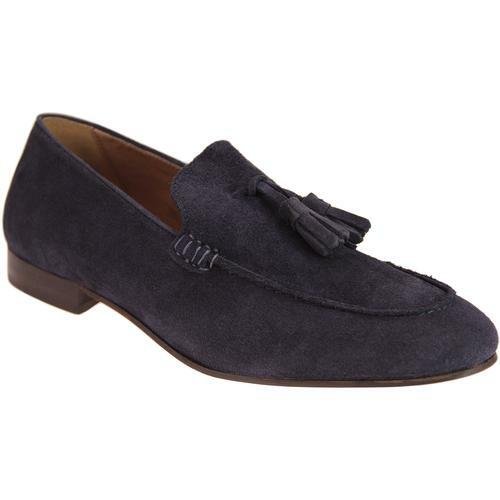 Paolo Vandini 'Sarell' loafer shoes incorporate a slender silhouette and classic block heel. Perfect for adding a flash of extravagance and style to your smart ensemble! 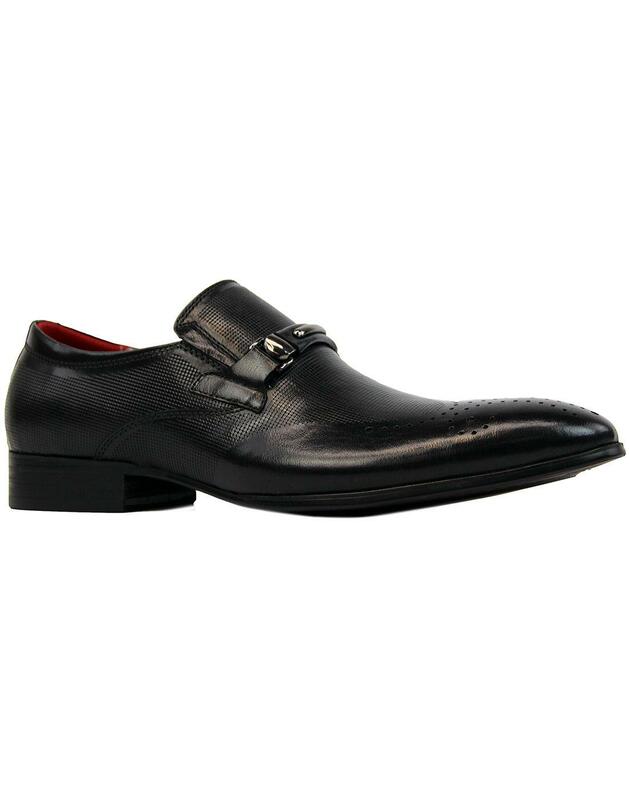 - Paolo Vandini 'Sarell' men's 60s mod loafer shoes in black. 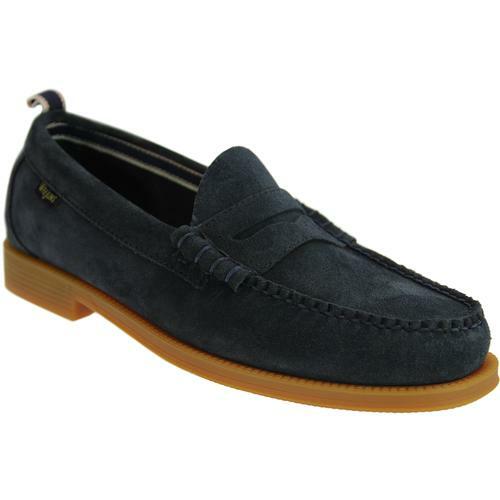 - Scotch grain style detailing complimented by smooth leather toe. - Retro punched brogue wingtip feature. - Buckle apron with gunmetal trims. - Gusset detail to ensure a comfortable fit. - Sleek and slender silhouette. 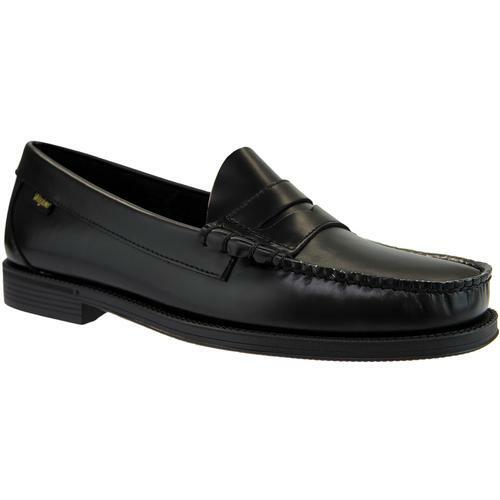 - SKU: Sarell Slip On Loafer Shoes.